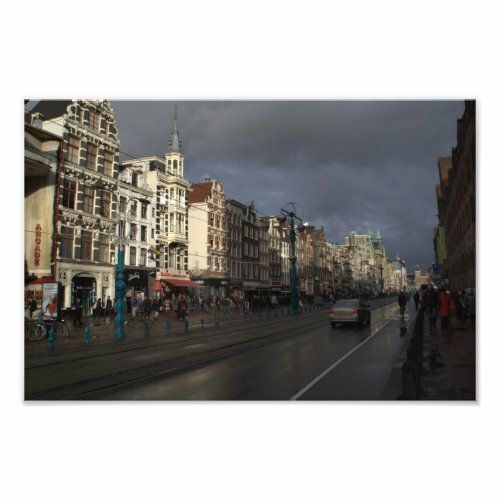 I took this photo on the Damrak street in Amsterdam, on a rainy day. The sun broke through after a heavy shower. At the end of the street you can just make out the building of Amsterdam Central Station.